Green Giant Chips: Salty Snacking with Less Fat! I have been a little bit more "snacky" since I've become pregnant. My favorite time to eat crunchy, salty treats is right before bed, as I'm watching my favorite shows or while on Facebook. While I usually feel a little guilty about eating too many, it helps to have some portion control and be a bit wiser about the chips and crackers that I indulge in. 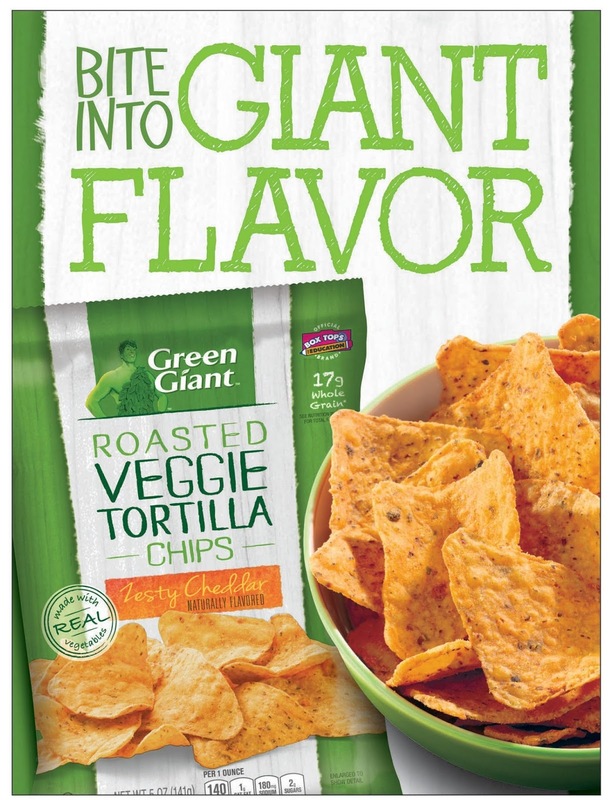 When I recently sampled Green Giant's Veggie Snack Chips, I was expecting them to taste.. like veggies. These crunchy, savory, and delicious snacks, however, were exactly what my cravings needed, and it didn't hurt that they are made with real veggies! These snacks are so satisfying, that I've been able to avoid eating them with dips or salsas. They are great by themselves, but I also find that pairing them with some fresh veggies (like little tomatoes out of my garden, carrots, or fresh cukes) is a nice treat to "up" the crunch factor! These are just 2 of the available flavors you can find at most stores. I'm looking forward to giving the Roasted Veggie Tortillas Chips in Zesty Cheddar and Multigrain Sweet Potato Chips in Sea Salt a try!